In the context of the Mental Health Services Master Plan for Glenside Campus, the Major Projects Office approached the Glenside Hospital Historical Society Inc. (GHHS) on 23rd of February 2009 to provide comment on two buildings on the eastern boundary of Glenside Campus. The history of the Cottage System in lunatic asylums is described to demonstrate the significance of its application to Parkside Lunatic Asylum in South Australia and the last two of these cottage buildings left. In the context of the Mental Health Services Master Plan for Glenside Campus, the Major Projects Office approached the Glenside Hospital Historical Society Inc. (GHHS) on 23rd of February 2009 to provide comment on two buildings on the eastern boundary of Glenside Campus. a) It demonstrates important aspects of the evolution or pattern of the state’s history. b) It has rare, uncommon or endangered qualities that are of cultural significance. These buildings had the ward names of R2 and R3. R3 was commonly referred to as X ward. They are the last 2 of 6 ‘cottages’ built between 1880 and 1891 and represent a significant departure from the aggregation system for the management and treatment of patients accommodated in large wards in multi-storeyed buildings in lunatic asylums to a much more therapeutic ‘Cottage System’ of segregation, diagnostic steaming and a healthier domestic scale environment. The cottage system model of care evolved in other asylums located in England and America and was advocated by medical leaders of the day as a best practice. Drs Paterson and Cleland at Parkside Lunatic Asylum were always conscious to provide the best care for the ever increasing demand to care for the mentally ill people of South Australia as evidenced in their annual reports. In their reading of the literature and visits to other asylums they successfully applied best practice and thereby significantly contributed to the evolution of public mental health services and the history of the state at a very early date. Despite increasing clinical demand and the restraints of fiscal pressures those responsible for managing the asylum were able to depart from the original plans and prevailing wisdom of accommodating patients in large industrial sized buildings for economies of scale to implement a more therapeutic and contemporary model of care. This could not have been achieved if the cultural standards of the day did not demand compassionate and humanistic treatment of the most disenfranchised and disabled of the state’s population. This societal demand mandated the state government to eventually approve and act on the advice of medical staff in charge of the asylum despite depressed economic times at the end of the nineteenth century. In addition to the architectural merits of these two buildings they provide a significant and concrete reminder to those who now view them of our historical milestones in the care of the mentally disabled and illustrate the mature cultural attitudes prevailing only four decades from the founding of the colony. They will remind us that our forbears were also interested in high standards of care. Society is often too willing to push mental illness out of view and through ignorance fear those so afflicted. However when prompted some of the best qualities of society will come to the fore to support the care of their mentally disabled peers. This is significant historically and represents a cultural standard we can be justly proud and use in the present attempts at mental health service reform. 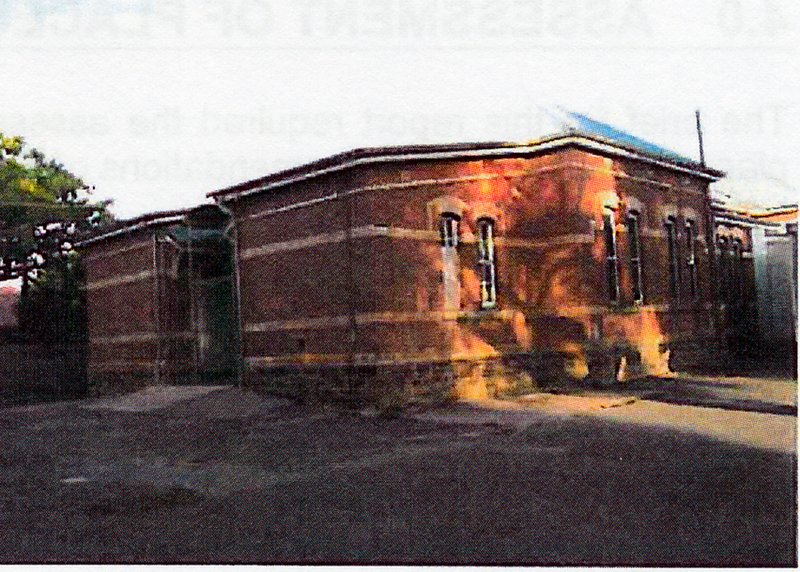 The Glenside Hospital Historical Society believes even with the small summary of evidence able to be presented here that the relevant criteria of the Heritage Places Act are met and therefore strongly recommends that these two buildings be State Heritage listed to preserve them for the future. They should be restored and other uses found which are sympathetic to the state heritage they and other heritage buildings on site represent. In addition access for the general public and professionals alike should be facilitated as a constant reminder of a history so few have had the opportunity to learn from. The term ‘cottage system’ used in this document is not to be confused with the same but negative term referring to the industrial system prevalent in the eighteenth to early nineteenth centauries in England. This cottage system “became a device to tie the farm labourer to the soil and oppress him more thoroughly” (Halevy, 1815).This also was part of a Socioeconomic argument put by Robert Owen who advocated the move from isolated cottages dependant on individual reliance to mutually supportive village communities (Owen, 1858), (Reeve, 1921). The trends for the management of mentally ill people in the second half of the nineteenth century included Non restraint and moral therapy with separation of acute and chronic patients, paying and pauper patients, criminal and refractory patients. Separation of imbeciles from the general asylum population, particularly for children, also eventually occurred as in the case of Parkside Lunatic Asylum with the building of the 6 cottages. For our purposes the ‘Cottage System’ was a concept developed in the second half of the nineteenth century as an additional and superior model of care in ‘hospitals for the insane’. This concept was thoroughly discussed at the annual meeting of The Association of Medical Officers of Asylums and Hospitals for the Insane in London England 1864 and published in the Journal of Mental Science vol. X. Here Dr Henry Maudsley, one of the leading doctors in mental science of his day, along with many of his peers, discussed a paper by Mr E. Toller “The Advantages of the Cottage Plan over all others for the Accommodation and Treatment of the (pauper) Insane”. So it could not be said that this method would be successful for all classifications of the insane like “violent maniacs, but for harmless imbeciles, no doubt, it might be successfully adopted”. The president of the association summed up and said “there appeared to be a general agreement as to the propriety of having small detached houses (cottages) in connection with large asylums” (Maudsley, 1864). The cottage system was not only successfully applied to the mentally ill but also to orphan asylums in America during the early part of the twentieth century (Hacsi, 1985). Though detailed evidence of success of these pioneering attempts is frustratingly difficult to find in the time given for this review, it cannot however be denied that the broad humanistic principles underpinning the cottage system were sound. Dr John Arlidge in 1859 wrote about the subdivision of asylums for chronic cases and their distribution in cottage homes (Arlidge, 1859). He advocated separate sections of asylums be appropriated especially for idiots, epileptics, imbeciles, the very aged and infirm. The chronically insane were also said to benefit from separate accommodation. The quiet and orderly, and the convalescent were other ways of classifying these patients. This segregation was seen to be mutually beneficial in not being exposed to each other’s pathology and ward routines could therefore be customised to the occupant’s needs and risks. The trend at the time in England for lunatic asylums was to aggregate patients for efficiency and economy rather than segregate them as above. The above set the scene for the evolution of mental health services here in South Australia Where Dr Alexander S. Paterson, Colonial Surgeon, noted in his 1871 annual report, “The increase in the number of idiot children also renders it highly advisable that separate accommodation should be provided for them, where they would not come in contact with the adult population of the asylum”. In 1880 Dr Paterson reported “Extensive additions to Parkside Asylum have been put in hand during the year, and are now in progress. They comprise….. and two detached cottages – one to be used as an infirmary ward and the other as a ward for harmless patients or imbecile children. The cottages are a departure from the original plan; but they can hardly be looked on in any other light but an improvement upon it. It does not require any special knowledge or an intimate acquaintance with asylums to perceive the advantages of removing a hospital ward from the main building and having it detached”. (Paterson A. S., Report on Hospitals for The Insane, 1880). In 1881 Paterson reports the two cottage wards are occupied. In 1884 A further cottage ward for imbecile children has been built affording accommodation for 20. (Paterson A. S., Report on Hospitals For The Insane, 1884). This was to become Male K1 ward, now demolished. (Building plan HD 31, 31.3.1884). In 1890 Dr Cleland Reports another two new cottages have been commenced. (Cleland, Sub Report of the Parkside Asylum for 1890, 1890). These would have been Female R3 ward (Building Plan HD 71, 15.10.1890) and Male K3 ward (Building Plan HD 26, 15.11.1890). The role for all six cottages despite possible use as an infirmary and for “quiet and chronic” patients they were eventually all destined to accommodate the intellectually disabled. There were three female cottages, R1, R2 and R3 located on the northern side of the campus and three male cottages, K1, K2 and K3 on the southern side. Two wards were set aside to accommodate children. R3, later commonly referred to as X ward had the youngest of both sexes, and Male K3 ward had the older boys. The remaining four cottages had adult patients. Subsequently four cottages were demolished leaving only the R2 and R3 ward buildings we see today to represent this early evolutionary mile stone in the history of South Australian Asylums. Arlidge, J. T. (1859). On The State Of Lunacy and The Legal Provision For The Insane. London: John Churchill, New Burlington Street, p vii, 145-150. Cleland, W. (1888). Report on Hospitals for the Insane. Adelaide: H.F.Leader, Govenment Printer, North Terrace 1889, p 13. Cleland, W. (1890). Report on Hospitals for the Insane. Adelaide: C.E Bristow, Govenment Printer, NorthTerrace 1891, p 12. Forbes, I. L. (1996). From Colonial Surgeon to Health Commission. Adelaide: Openbook Publishers, Halifax Street, Adelaide. p 283, 298, 310. Hacsi, T. A. (1985). Second Home: Orphan Asylums and Poor Families in America, p 167. Halevy, E. (1815). A History Of The English Peoples 1815, p 214-215. Maudsley, H. a. (1864). The Journal Of Mental Science. London: John Chrchill & Sons, 465-467. Owen, R. (1858). The Life Of Robert Owen:Supplementary Appendix for 1803-1820. In R. Owen. London: Effingham Wilson, Royal Exchange, p 112-114. Paterson, A. (1879). Report on Hospitals for the Insane. Adelaide: Government Printer, p 6. Paterson, A. S. (1871). Report on Hospitals for the Insane. Adelaide: Government Printer, p 6. Paterson, A. S. (1875). Report on Hospitals for the Insane. Adelaide: Government Printer, p 6. Paterson, A. S. (1880). Report on Hospitals for The Insane. Adelaide: South Australian Government, p 13. Paterson, A. S. (1881). Report on Hospitals For The Insane. South Australian Government. Adelaide: South Australian Government, p 7. Paterson, A. S. (1882). Report on Hospitals for the Insane. Adelaide: Government Printer, p 6. Paterson, A. S. (1884). Report on Hospitals For The Insane. Colonial Surgeon. Adelaide: South Australian Government, p 10. Paterson, A. S. (1888). Report on Hospitals For The Insane. Adelaide: South Australian Government, p13. Paterson, A. S. (1890). Report on Hospitals For The Insane. Adelaide: Govenment of South Australia, p 12. Piddock, S. (2001). SA Asylum History (Phd Thesis). Adelaide, South Australia. Reeve, S. A. (1921). Modern Economic Tendencies: An Economic History of America. California: E.P. Dutton & Company, p xiii. Robinson, D. W. (1980). Wisconsin and The Mentally Ill, p 59. Smith, L. D. (1980). Cure, Comfort & Safe Custody, p 1-7.